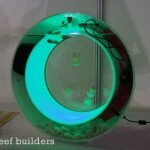 This 20-liter aquarium porthole suitable for keeping certain species of jellyfish (Aurelia aurita whose). The body of the aquarium and its facade is white is black. It has an integrated filter including a foam and a bacterial support. 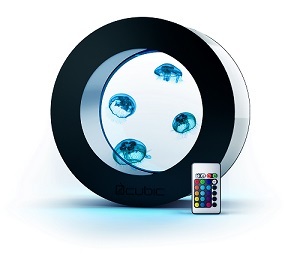 However, as in any nano aquarium, we must make regular changes of water (20-30% per week). Jellyfish Concept offers a pack containing the aquarium, live bacteria, and salt Jellyfish Concept (for impoundment and startup). – 1 bacterial support composed of porous gravel and 0.5 L of Bioballs. – 1 4.5 W LED lighting to color change. 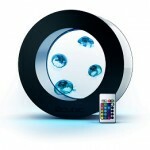 – 1 remote control to manage the variations of light illumination. – 1 siphon to remove leftover food. – 1 hydrometer (to measure salinity). 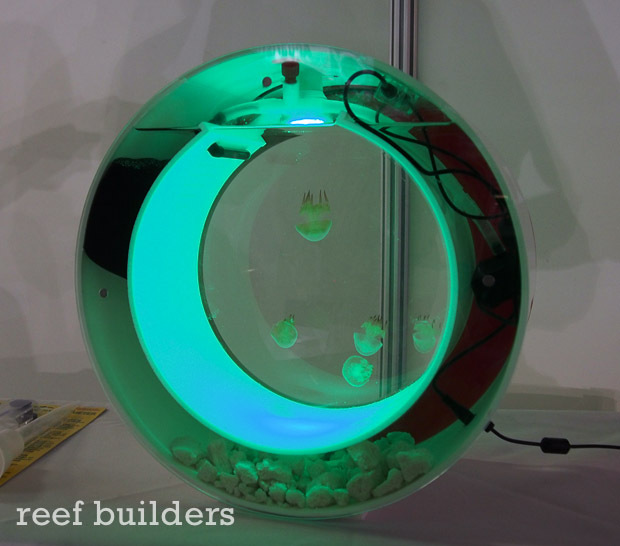 This aquarium can accommodate between 1 and 5 jellyfish.